I have spotted these sitting on the shelves and wondered if they really do work. There is a selection to choose from in the MOISTURE MATCH range to suit your skin and specifically help your skin needs. I picked up the Garnier Moisture Match Revitalising Hydrating Gel which states WAKE ME UP for dull skin. Everyone wants there skin to be glowing and looking healthy so i couldn't wait to try this. 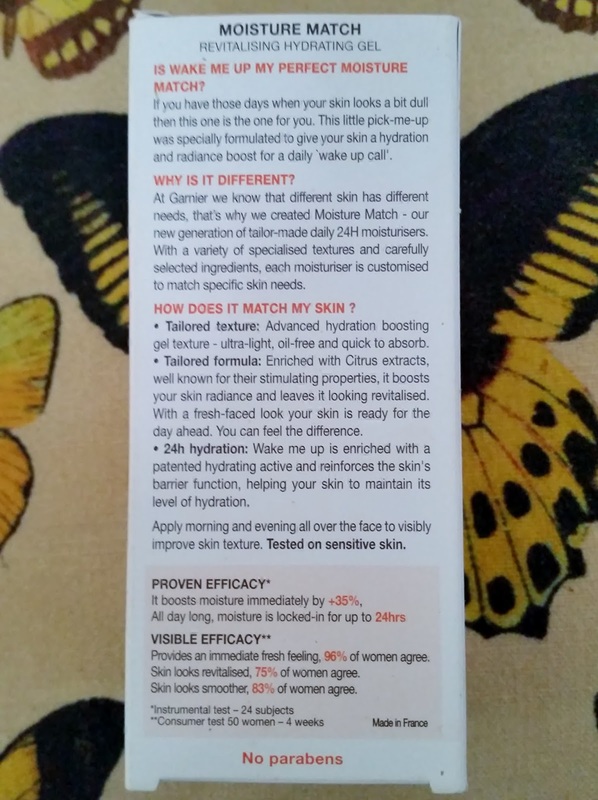 On the packaging it states and gives you the information you need which comes in quite handy if your not sure which one to choose. If you have those days when your skin looks a bit dull then this one is the one for you. This little pick-me-up was specially formulated to give your skin a hydration and radiance boost for a daily "wake up call". 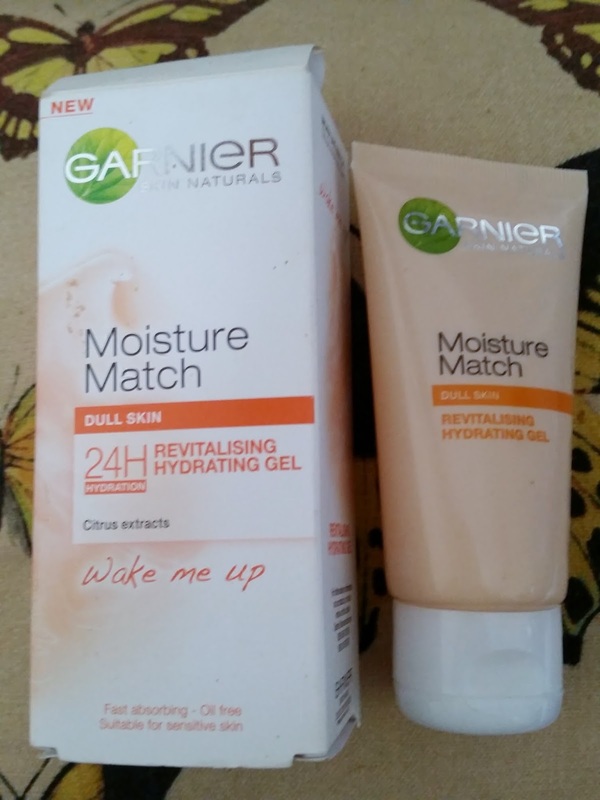 At garnier we know that different skin has different needs, that's why we created moisture match - Our new generation of tailor-made daily 24H moisturisers. With a variety of specialised textures and carefully selected ingredients, each moisturiser is customised to match specific skin needs. gel texture - ultra light, oil-free and quick to absorb. *Tailored formula: Enriched with citrus extracts, well known for the stimulating properties, it boosts your skin radiance and leaves it looking revitalised. With a fresh-faced look your skin is ready for the day ahead. You can feel the difference. *24H hydration: Wake me up is enriched with a patented hydrating active and reinforces the skins barrier function, helping your skin to maintain its level of hydration. Apply morning and evening all over face to visibly improve skin texture. The wake me up comes in 50ml and this is a gel. The gel is colourless and is a medium consistency but applies so easily and glides over your skin. A little does go along way so even though this is 50ml i can see it lasting quite awhile. What was a surprise to me was the smell from this gel. You can definitely smell the citrus and reminds me of some sweet oranges which adds a nice touch whilst using this. I tend to use this over night as a treatment so my skin can look "waked up" in the morning. My skin felt really moisturised and my complexion was evened out . Overall my skin felt and looked so much better! This is oil free and fast absorbing so you wont feel like your skin is suffocating and the Garnier Moisture Match Revitalising Hydrating Gel didn't break me out. 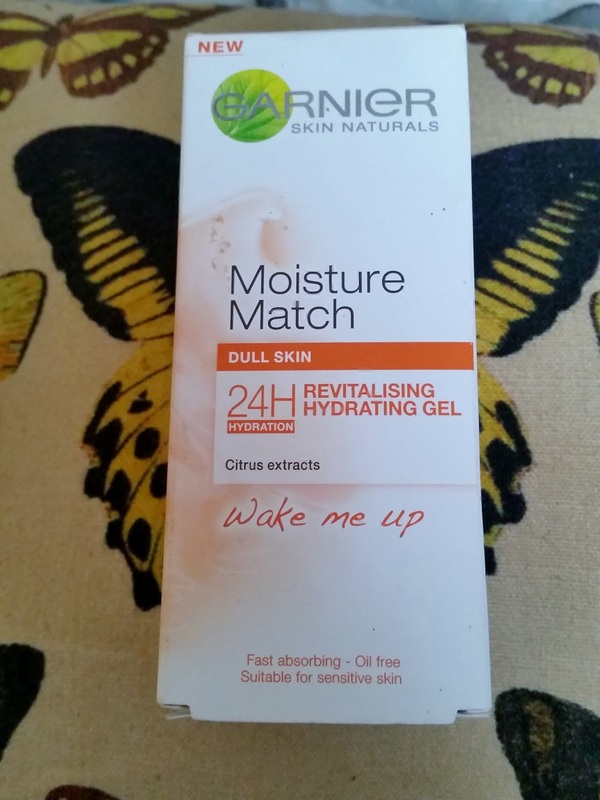 So if your looking for a product to help and give your skin some TLC then i suggest the Garnier Moisture Match Revitalising Hydrating Gel.